In today’s article, we offer our readers an insiders-look at one of the newest Bitcoin mining operations in North America. 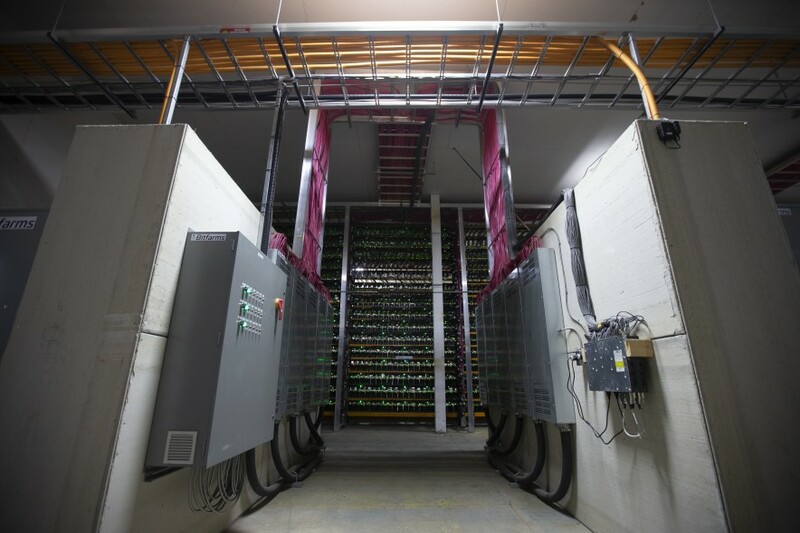 The newly constructed mining farm sits in the frigid winter landscapes of Magog, Quebec, Canada, and boasts access to 10 megawatts of clean, naturally produced hydro-electricity. The mining farm is one of four farms operated by the industry-leading Bitfarms, a Canadian company that operates one of the largest Bitcoin mining firms in North America. Bitfarms was co-founded in Quebec by Pierre-Luc Quimper, an industry leader in the world of computer data centers since 1999. In 2018, we interviewed Pierre-Luc as part of our Bitcoin mining series. 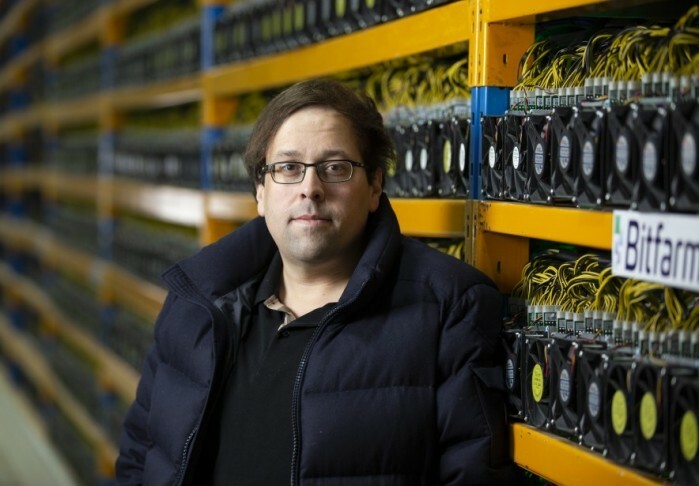 At that time, Pierre-Luc commented on issues surrounding Hydro-Quebec’s moratorium on blockchain growth, the regulatory environment in Canada, the hype surrounding Quebec's potential as a global blockchain/mining hub, and how his company Bitfarms aimed to grow the economy of Quebec with blockchain related jobs. Pierre-Luc is passionate about blockchain technology, and today in 2019, we are lucky enough to peer through his eyes once again to take an exclusive glimpse at Bitfarms’ continued upwards trajectory and to learn how Pierre-Luc sees the future of the blockchain industry in Canada and beyond. How did you become a leader in the Quebec blockchain industry? I started my first IT business when I was 14 years old. My hosting company, GloboTech, still exists in downtown Montreal. My team and I learned how to run data centers in the most efficient ways [while building GloboTech]. Now, [as one of the founders of] Bitfarms, I view our blockchain computing centers like an extension of GloboTech and its data centers. Could you describe the new mining farm in Magog? 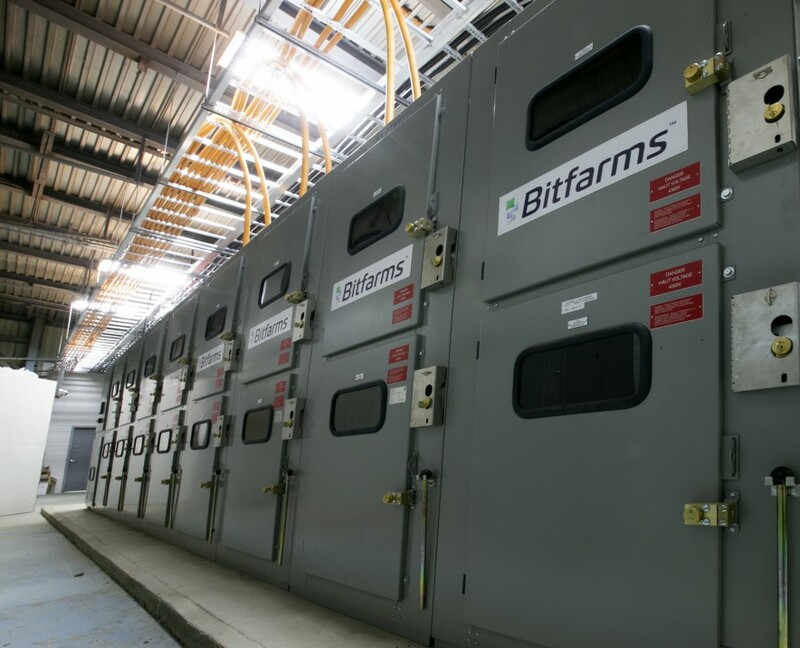 Our new computing center in Magog has been designed by Bitfarms to be as efficient as possible. In the first semester of 2018, we calculated that 94% of the energy we purchased had been used to power our servers at Bitfarms. We do not have air conditioning, instead, we use fans for air circulation to keep the miners at the right temperature. Magog is our fourth computing center. Our Magog facility used to be a factory where industrial equipment for dams was manufactured, but the manufacturing company shut down a few years after opening. Last year, we talked to Hydro-Magog, the municipal electricity company in the city of Magog. We realized that Hydro-Magog has electricity surpluses all year long. Therefore, we saw an opportunity to build up a computing center in Magog that will help us with our expansion plans and that will bring economic benefits to the city of Magog, because Hydro-Magog can sell us electricity that otherwise would not be used. In Magog, we have the possibility to shut down our machines if there is a high demand during the winter, ensuring Hydro-Magog does not have to produce more electricity during high demand periods. This happens around 300 hours per year. It’s a common practice in Quebec called “load-shedding.” In Magog, we have access to 10 megawatts of clean hydroelectricity. For now, we use S9 miners from Bitmain. What type of tasks and responsibilities do the employees of a mining farm do on a day-to-day basis? The number of employees fluctuates depending on our needs. We have between around 60 to 70 employees that are assigned daily between our computing centers in Magog, Cowansville, Saint-Hyacinthe and Farnham. We also have our own microelectronic repair lab in Saint-Jean-sur-Richelieu and we have created a 100%-owned proprietary software capable of providing chip-level diagnostics on three-second intervals. We also have our own electrical service company, Volta électrique, based in Bromont. Volta électrique has a long-standing expertise in building super-efficient computing centers that respond to the very strict Quebec construction regulations. Our staff includes technicians, developers, electricians, engineers and the regular administrative and management staff in order to run a company. Our facilities are working on a 24/7 basis; therefore we have site-level staff assigned day and night in our facilities, depending on needs. Since Bitfarms first started construction of its new Bitcoin mining farms, Bitcoin has lost a substantial amount of value, does the lower price of Bitcoin affect Bitfarms’ overall business plan? Bitcoin price and difficulty is obviously an important factor in our operations, but, Bitfarms is well positioned due to our low power costs and power usage efficiency to deal with the fluctuating value of Bitcoin. The relationship between bitcoin price and network difficulty is also relevant. We believe in the future of Bitcoin and its purpose as a store of value. We also believe in the massive potential of the underlying blockchain technology for use in cryptocurrencies and many other applications. Our core business is cryptomining. I believe in blockchain and Bitcoin, and I believe that the technology will be very important in the near future. The number of Bitcoin blockchain wallet users has increased significantly over the last two years. The cost per transaction continued to decline through 2018. The total number of transactions is increasing. There has also been a 98% increase in the number of Bitcoin nodes running over the last two years, according to Bitnodes, which tells us that the fundamental concepts behind bitcoin are strengthening. What other applications could the Magog farm be used for? Outside of Bitcoin mining, is Bitfarms developing any other technologies, services or products related to the blockchain industry? As a crypto-mining operation, our long-term goal is to be completely vertically integrated, with our only operational variable being energy, and nothing else. As uses for blockchain technology evolve, we are exploring a wide range of services evolving around blockchain technology, such as mining-as-a-service and other private blockchain infrastructure offerings. I believe that the infrastructure we are building up today, and the computing power we are building up, will be used by other blockchain applications in many different industries. The financial industry, the shipping industry, traditional banking, logistics, all these sectors are doing research and development as we speak, and they will need computing power and services around blockchain applications. We are also doing our own research with the École de technologie supérieure (ETS), with whom we have signed a first agreement with their ETS blockchain team in Montréal (https://fuseelab.github.io/) . The ETS team works on a range of interesting projects such as: Blockchain-based distributed ledger technology (DLT) that processes and disseminates transaction events in a decentralized network, networked game engines, and advanced analytics over real-time streams of events. As a Quebec-based mining operation, what are some of the benefits or challenges specific to Bitfarms’ locale with regard to Bitcoin mining? Quebec has surpluses of clean energy (hydroelectric dams) in some areas. The energy rate is still competitive when we compare it to other jurisdictions. However, it must remain the same in order to stay competitive. Quebec is already a global hub for data centers. As the president of Bitfarms, a blockchain company, and GloboTech, a data-center company, I anticipate a convergence between traditional data-center and computing centers and mines. Blockchain is a revolutionary technology and we believe that Quebec has all the ingredients to become a global player within this emerging industry. We have strong support from several municipalities and we are engaging with the general public and the decision makers in order to bring social acceptability and transparency to the emerging blockchain sector in Quebec. Why would the Régie de l’énergie want to promote the blockchain industry in Quebec by allowing the sale of cheap electricity? The Régie de l’énergie is an economic regulation agency and it does not promote any industry in particular. The Régie de l’énergie protects consumers, which includes Bitfarms, from sudden and unfair increases in electricity rates. Since Hydro-Québec is a monopoly, the energy board (Régie de l’énergie) needs to approve any increase in rates that Hydro-Québec would like to impose. Quebec has very strict energy rules and regulations. The current government of Quebec appears to support innovation and economic developments in Quebec. One way to have revenues for the government is to sell electricity surpluses. The recently elected Premier of Quebec, François Legault, made comments during his inaugural speech that he wants to use the clean Quebec hydroelectricity to promote economic development, referring to data centers specifically. “Our clean energy must also become an asset to attract private investments, here, in our territory. We can think about data centers […] the more pressure there will be globally to reduce greenhouse gases, the more Quebec’s green energy will become a key factor in investment decisions”, said François Legault. In our case, we believe that we can also bring innovation in Quebec since we have already signed a research agreement with the blockchain team of the École de technologie supérieure and we want to be positioned to develop services around blockchain technology as it evolves. 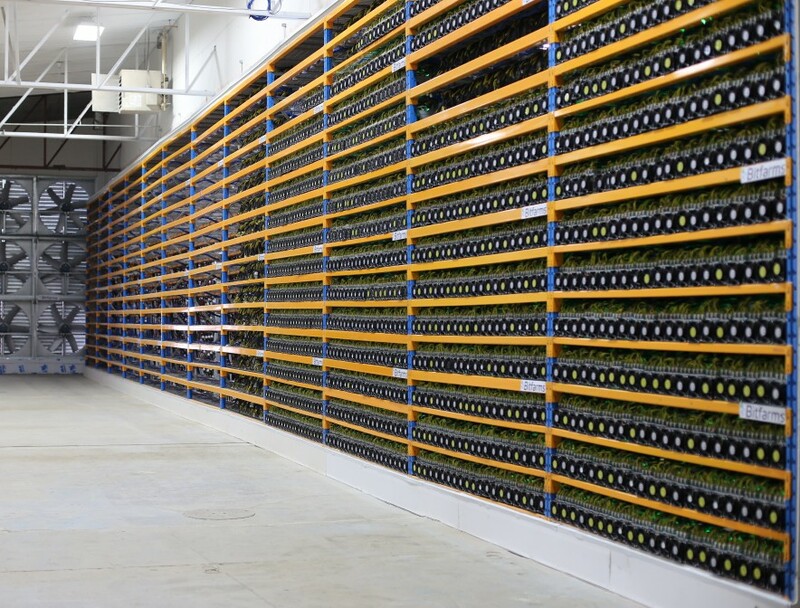 With the volatility in the cryptocurrency market, and the continued regulatory uncertainty surrounding blockchain technologies, why do you view mining farms as a sustainable business plan? I come from the data-center industry. I started my data center, GloboTech, in 1999, and I invested in its infrastructure because I anticipated that someday the Internet would need servers that will be powered by clean electricity at a competitive price. Today, with Bitfarms, I believe in the value of a decentralized digital currency and we are once again building the infrastructure needed to support blockchain technology once it is accepted globally. Pierre-Luc and Bitfarms are continuing to push forward in 2019, and their optimism shows an ambitious company who believes that bitcoin and blockchain are here to stay. Interestingly, while Quebec is no longer seeing the hyped-up interest from foreign mining operations that resulted in a moratorium to be placed on mining applications in 2018, the domestic blockchain industry continues to flourish thanks to a symbiotic relationship between hydro-electricity producers and mining operations like Bitfarms who can use surplus energy to mine Bitcoin, a win-win for both the province and the miners. Bitrates would like to thank Pierre-Luc and the Bitfarms team for providing our readers with the opportunity to peer inside the world of Bitcoin mining from a unique perspective.